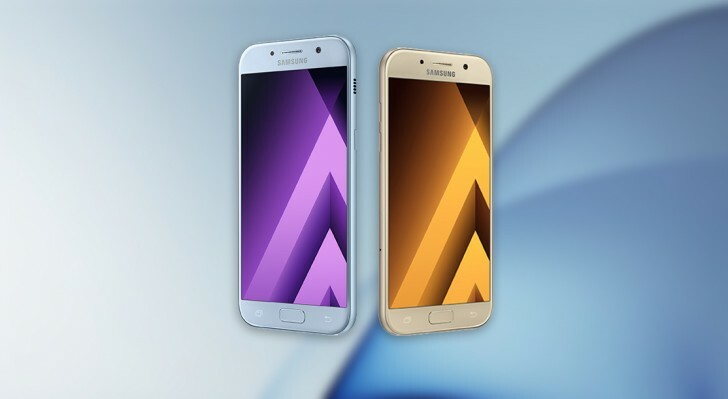 Vodafone UK reached out and revealed the freshly announced Samsung Galaxy A3 (2017) and Galaxy A5 (2017) will launch in the UK. The lack of the Galaxy A7 (2017) in this list confirms the rumors that Samsung has decided to leave the device out of European stores. Vodafone UK hasn’t revealed prices of the two devices so far. Regardless, in continental Europe the Galaxy A3 (2017) will come with a recommended retail price of €329, while the Galaxy A5 (2017) will cost €429. The Galaxy A (2017) smartphones will first be available in Russia, and then be out in Western Europe in early February. Have a look at our announcement article for more information on the new 2017 A series of devices.